Public spaces like neighborhood parks help communities thrive and often anchor the daily lives of residents – especially kids. 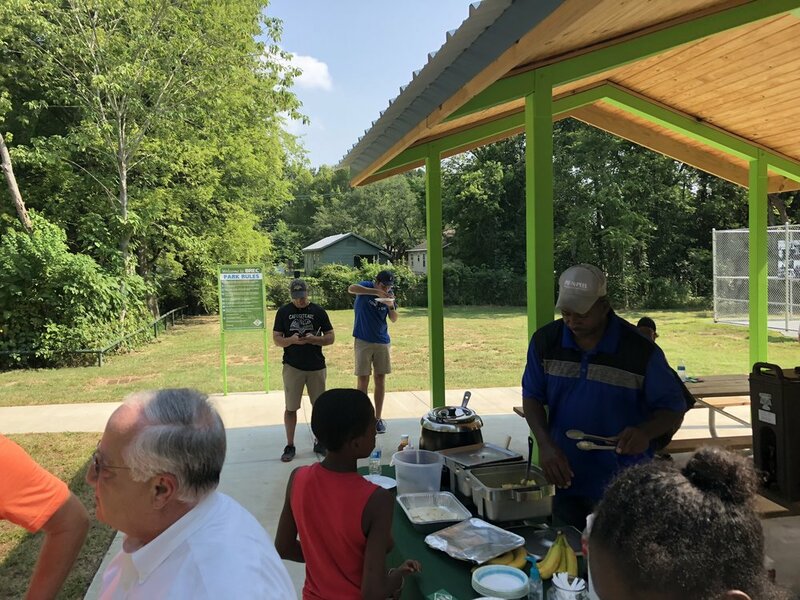 Spain Street Park is one of dozens here in Baton Rouge, but it’s very special to the Fuqua Neighborhood in Mid City, which sits just North of the intersection at Government and 22nd Streets. Last Spring, we came across the park and wondered if it would be a good location for a project we were working on with The Dufrocq School and Bernard Terrace Elementary. Little did we know that it would create a lasting collaboration with BREC and the neighborhood to improve the park. The initial project, called IAMMIDCITY, immersed 3rd graders at the two EBR Public Elementary Schools in a Mid City-focused curriculum that taught them about the area's history, geography, and culture. They made maps, laid out timelines, and took photos to document how they see Mid City. We planned to create an installation with the photos at the end of the school year and found Spain Street Park to be an ideal location between the schools. We worked with José Barro, an Assistant Director in BREC’s Planning and Engineering Department, to get the permissions we needed and then we got to work! In the process, we met local kids, parents, and neighbors who use the park every day. Some helped with the installation and recognized friends, family, or even themselves in the photos. We soon learned how vital Spain Street Park was to the neighborhood. We hosted coffee socials in the area as part of another Mid City Studio project called Coffee on the Porch and walked the neighborhood to meet more residents and talk to businesses-owners. We spent a lot of time there and genuinely got to know the neighborhood. We began asking what they would like to see in the park and relaying those needs to José, which inspired him to approach BREC about funding some much-needed park improvements. This led to a series of conversations about keeping Mid City Studio involved to engage residents and help plan the park. As a result, BREC assembled some possible improvement options to discuss with residents such as new play equipment, community planter boxes, benches, and maybe even some mural walls. Mid City Studio facilitated meetings with residents and designed some hands-on opportunities for participation in the improvements. To create a truly community-designed park, it’s critical to build sincere relationships and empower residents to shape their communities as they grow and change.